This week, we are highlighting Dan Foley of D&O Designs! Dan’s shop is full of intricate, beautiful celtic designs. The complex designs pair perfectly with 3D printing, and give Dan a chance to take a break from technical engineering and focus on his artistic side. I’m a professional engineer and 3D designer located in Davenport, Iowa. I have a beautiful wife and three children. The “O” of D&O Designs is for my son, Owen, who is learning to be a 3D modeler. My focus is on Celtic Knot jewelry. In the past few years I have become a lot more spiritual, and Celtic Knots are a representation of that. I read that some believe the complex knot designs represent “humans’ complex relationship with the natural and the divine.” This sums up my feelings pretty well. I had known about the idea of 3D printing for a long time, but I had no idea it was so easily accessible. A friend told me to check out Shapeways. I was blown away and I had to try it. Once I received my first Shapeways shipment, I was hooked. To read the whole article with pictures, click here. There are several things going on this month that you should be aware of. 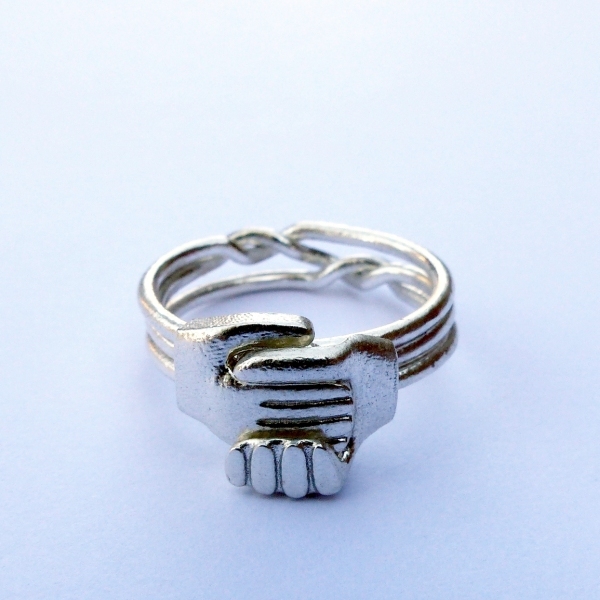 All the prices in my Shapeways shop were updated today. Shapeways reduced the price of their stainless steel materials. Most items went down by about $3 to $5 in those materials. Check it out if you want to see the new prices. We will be selling jewelry at a table that Quad Cities St. Patrick’s Society’s Shamrock ‘n’ Roll Event on Saturday, October 18. It is at the Stern Center, 1713 3rd Avenue, in downtown Rock Island. Doors open at 6PM and there will be bagpipers, Irish dancers and a performance by Wicked Liz and the Bellyswirls. There will be silent auctions, raffles and 50/50. This is the fundraiser to support the Grand Parade, their scholarship program and other charities. We will also be at the Bettendorf Holiday Bazaar on Saturday, November 1st at the Bettendorf Public Library from 9AM to 3PM. This is a fundraiser for Friends of the Bettendorf Public Library.